Ahmad Rezek Jnaid used to work for an Israeli building construction company. 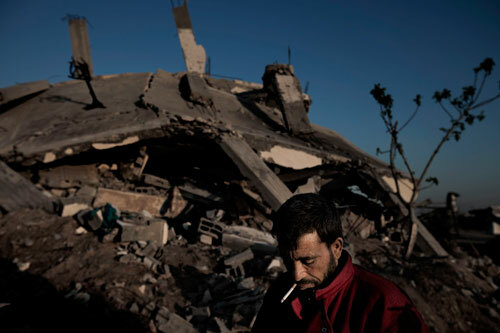 Now the Israeli army have destroyed his home. He is back with his family for a few days trying to salvage what can be salvaged in the ruins. Pipes, electrical outlets, wooden panels, anything.